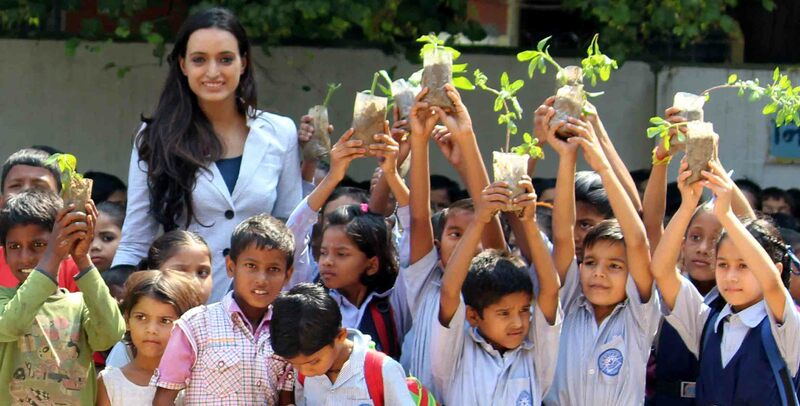 By CA Manoj Kohli 13th Oct.,2015 Meet Aaital Khosla,the girl who wants to plant as many trees as she can before this Diwali. This is going to be a gift to her city beautiful for Diwali.Passionate about various social causes at a very young age,feeding the poor kids and making old people happy in Old age Homes are among a few. Joining hands with like minded people accelerated her dream. Catching kids playing in the grounds to help her in her plantation drive was much fun. Last year planting 200 trees in Zirakpur area was a tough task,but this year lot many hands joined in to help her. She wishes to continue doing so as long as she can.